Spring is an exciting time of regrowth and new possibilities. With winter finally over, those bulky winter coats can go into the spare closet. But even as the snow recedes and the gardening plans come to life, some might not have their bodies ready for what is to come — the bending, raking, trimming, moving tools and pots in and out of the garage, re-mulching, cleaning out all those slimy planting beds, bagging it up and hauling it away. For the next two weeks their bodies are so sore most wish it was winter again. 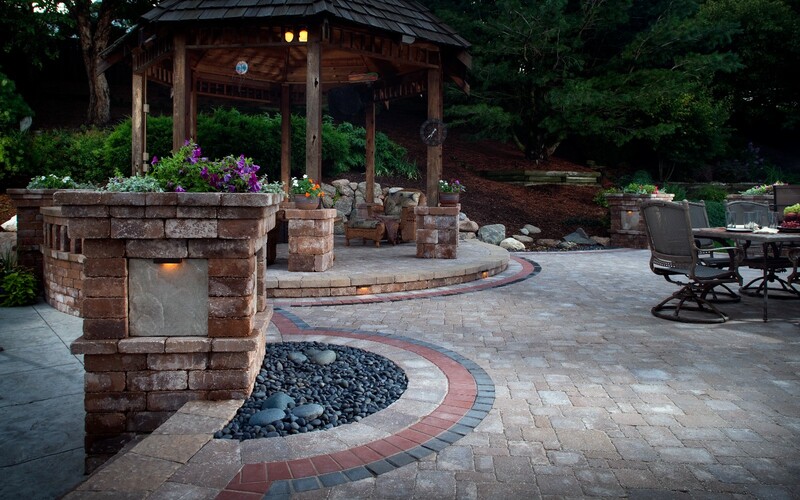 Nature’s Touch Landscaping can take the pain out of getting your landscape ready for planting or we can plant it for you. Don’t forget that we also do sprinkler start-ups! Autumn’s chill comes to Minnesota too early for many folks, and sometimes that first frost can hit earlier than expected. 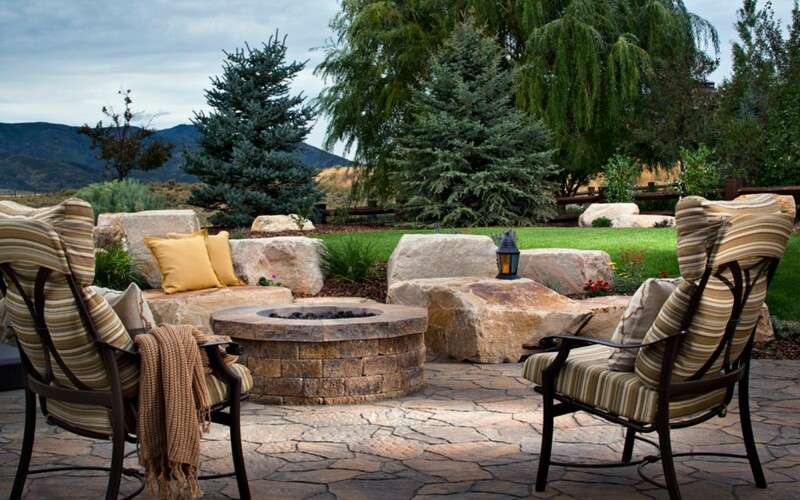 You want to keep your outdoor environment looking as colorful and green for as long as you can, but before the real cold begins, we recommend that you start breaking down your outdoor areas to prepare for the long winter. There’s lot to do: hoses and patio furniture brought in, pruning, trimming, breaking down all your pots and urns, raking and pulling all the frost damaged overgrown plants which are bagged and hauled away and much more. 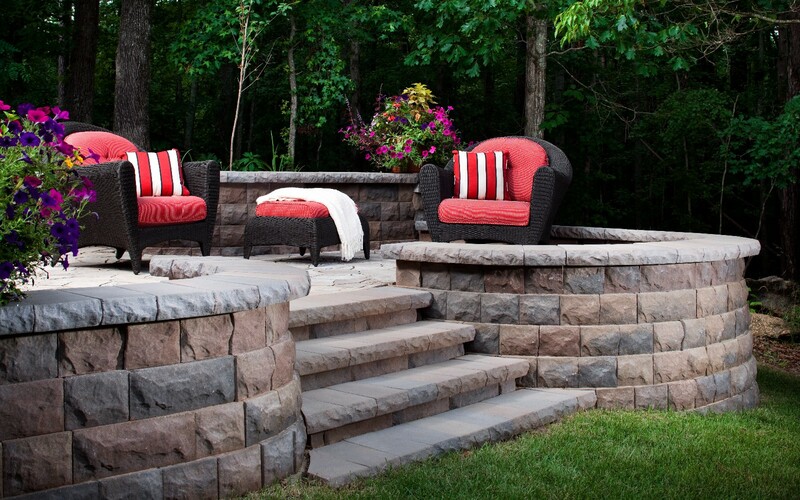 Nature’s Touch Landscaping will take the work out of your fall breakdown and give you peace of mind, knowing that your landscape will be ready for the next year’s growing season. Don’t forget that we also do sprinkler blowouts! Nothing makes shrubs look better than to get a “haircut” after they flower or start looking unkempt. We will cut, clean-up, bag-up and haul away all the trimmings from your shrubs. 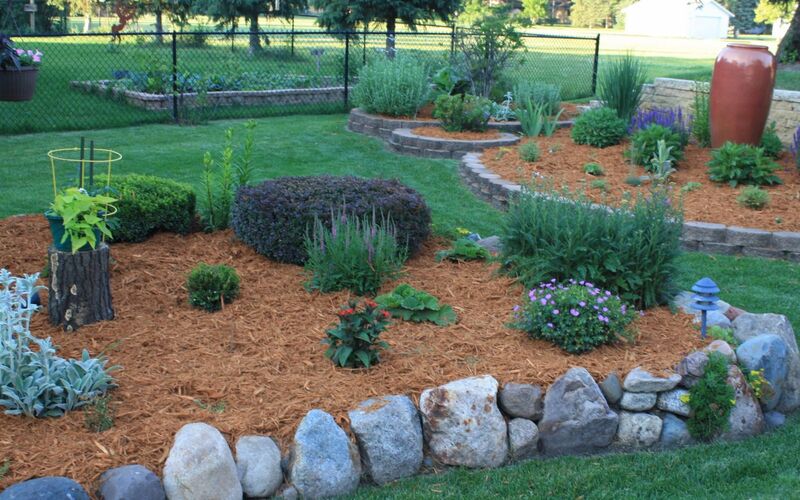 If you decide you would like to have new additions of shrubs or perennials planted, we will keep in mind their size at maturity to ensure proper location and light for their best growth. No job is too big or too small for us. 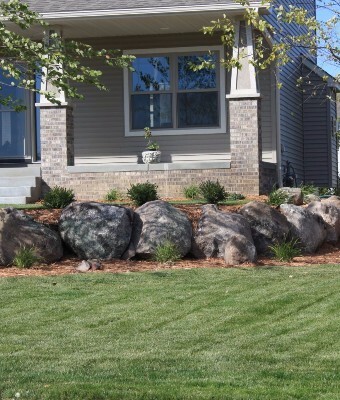 Nature’s Touch Landscaping recommends an in-ground sprinkler system for the proper watering of your lawn, trees and plantings. Garden hoses do not always cover your lawns and gardens as uniformly as does a well placed sprinkler system. The time you save and the convenience of not hauling hoses all over your landscape is an added benefit of sprinklers. 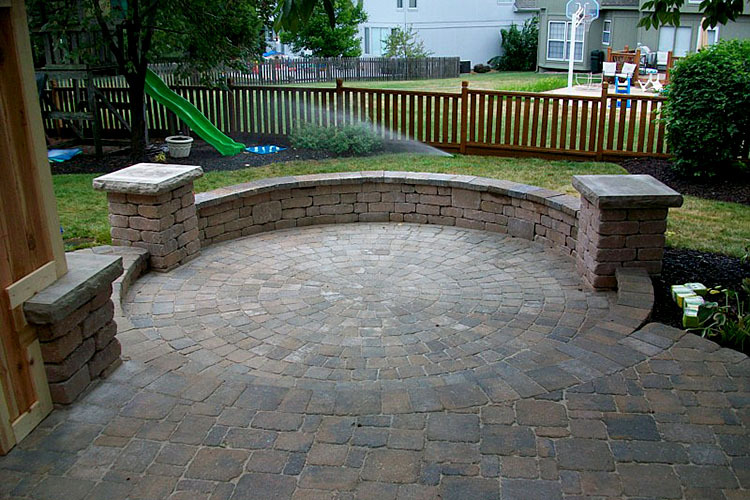 Nature’s Touch Landscaping uses a commercial-grade compressor on all of our sprinkler blowouts. Get on our mailing or email list and we will send you a fall reminder to schedule your blowout. A Fall Blowout of your sprinkler system is a ‘must do’ procedure every year, especially in the Twin Cities, to guarantee that winter’s temperatures below 30 degrees do not rupture your sprinkler heads or tubing. Sprinkler Blowouts start at $55.00 for up to 10 zones. Your blowout will be done with a trailer-pulled air compressor with a 4 cylinder diesel engine at 60-70 PSI. 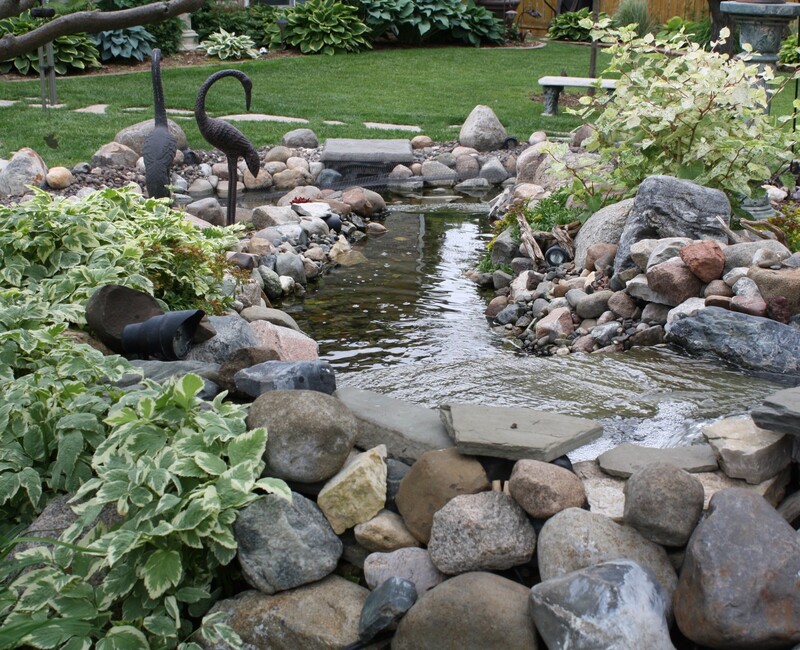 Call Nature’s Touch Landscaping at 763-566-8457 to make arrangements for your sprinkler blowout. Ask about our neighborhood discount. Nature’s Touch Landscaping removes snow for industrial units, warehouses, business centers, stripmalls, townhomes and associations. If it’s plowing, salting, haul-outs or push-backs, if 2 inches or 10 inches, the job will be promptly and professionally completed. Call for details and consultation for your next winter’s snow removal needs. Check up on the latest weather conditions by clicking on one of the links below for the Twin Cities Metro Area.